the sound of a soluble Panadol in the glass. umber and jet, madder, vermilion, cerise. back when the polls lit up like country pubs. is overrated, but it has its uses. NGO but without the moral compass. a critical instant, a need to swerve. like cascading preferences on a ballot paper. Tim Thorne’s fourteenth and most recent poetry collection is The Unspeak Poems and other verses (Walleah Press, 2014). 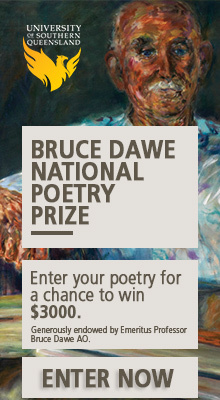 In 2012 he was awarded the Christopher Brennan Award for his contribution to Australian poetry.